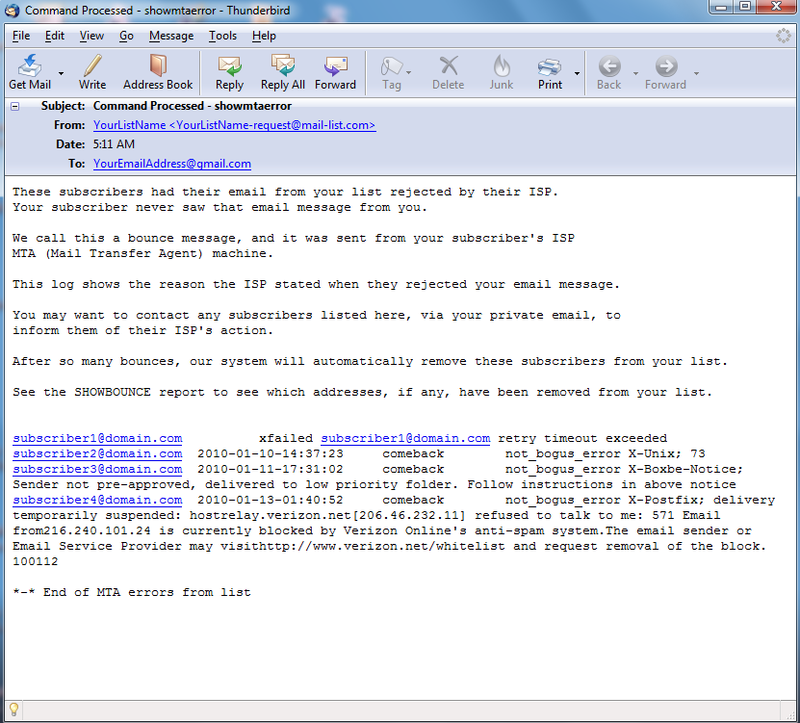 User ManualEmail Discussion Group User Guide List AdministrationHow do I get a list of subscribers whose ISPs rejected messages sent from my list? When you send a message to your subscribers, sometimes they don't get delivered to all of them. The ISPs of subscribers that rejected your message send us back an error message. 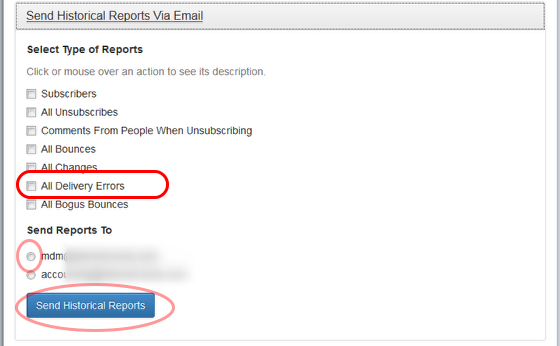 If the error message is considered valid by our system, we can send you a report of all of such email addresses. You can either use our web interface or send a command directly to our system via email to receive the report. MTA stands for Mail Transport Agent, which is what ISPs use to receive the email we sent them. This report shows the raw error message we received from your subscriber's ISP. These errors were counted as a bounce, and if a subscriber receives excessive bounces, their email address will be removed from your list. Helpful Information: The command SHOWMTAERRORHIST will report the raw data of all delivery rejection messages, since the beginning of your list. 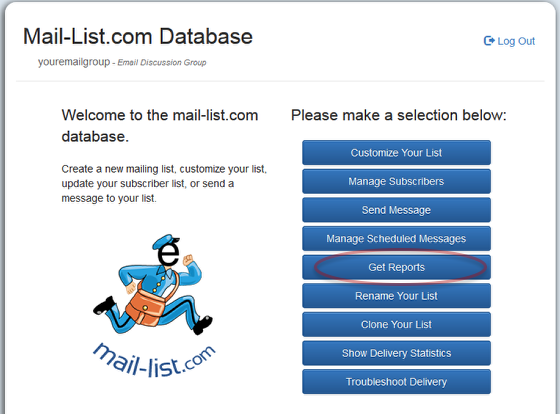 To use the web interface, log into your mail-list account, click on "Get Reports" and then on "Send Historical Reports...."
Select "All Delivery Errors" option and the email address where you want to receive the report. After you hit "Send Historical Report(s)", you will receive a report by email in the next few minutes containing the email addresses of subscribers that didn't receive your messages. Prev: How do I get a list of domain names and percentage of addresses on my list? Next: How do I get a list of subscribers whose email addresses were changed on my list?